Work showcased provides cohesive overview of students’ output, and a stepping stone for SArD’s accreditation process. The hall teemed with students, faculty, members of the NASAD Commission on Accreditation and visitors. 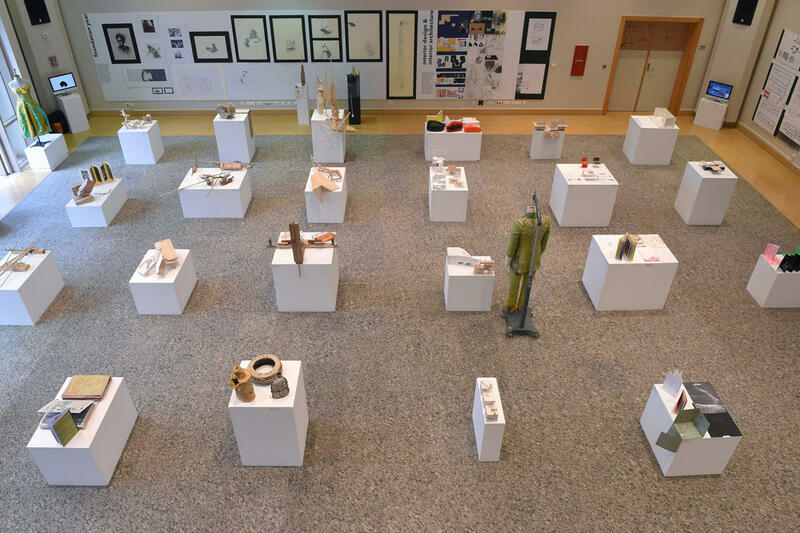 A clear view of the students’ works with the displays of the Interior Design & Interior Architecture program, and Foundation Year, in the background. Works of Fine Arts students on show. 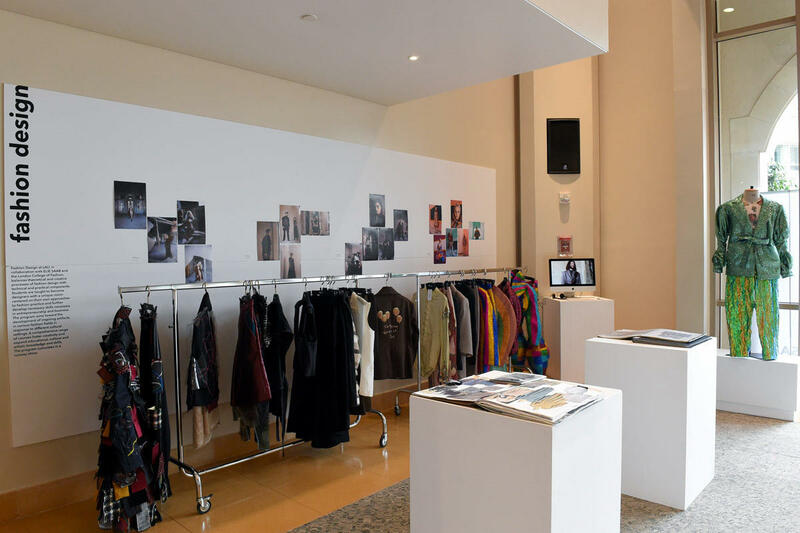 Catalogs, photos, a video and clothes gave an overview of the Fashion Design program. Foundation year projects catch the eye of a visitor. Plourde Khoury addressing the attendees, with the Graphic Design program display visible behind her. 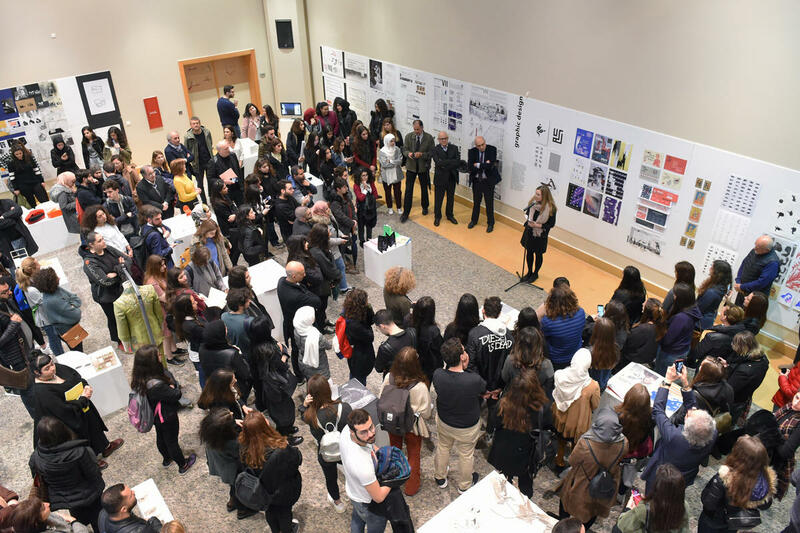 The School of Architecture and Design (SArD) hosted a collective review on the occasion of a visit by a team from the National Association of Schools of Art and Design (NASAD). 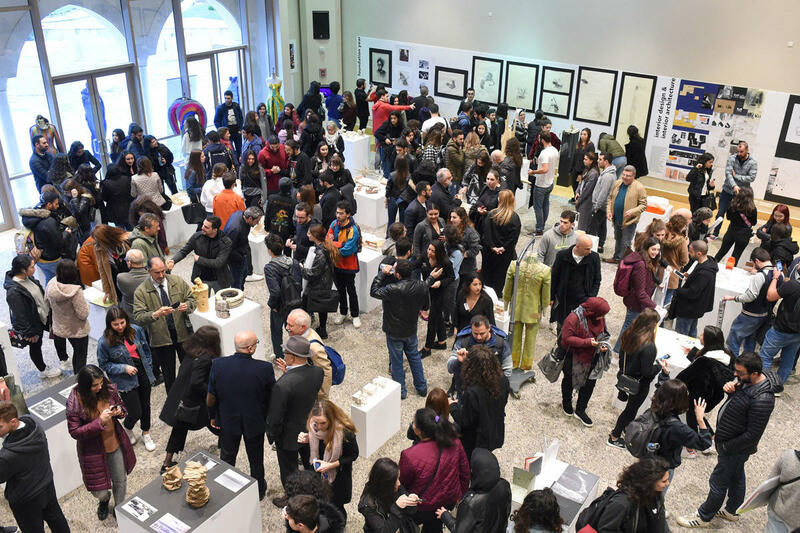 The exhibition was held on LAU Byblos campus March 27-30, and spotlighted students’ work from foundation year, Fashion Design, Fine Arts, Graphic Design, Interior Architecture and Interior Design programs. 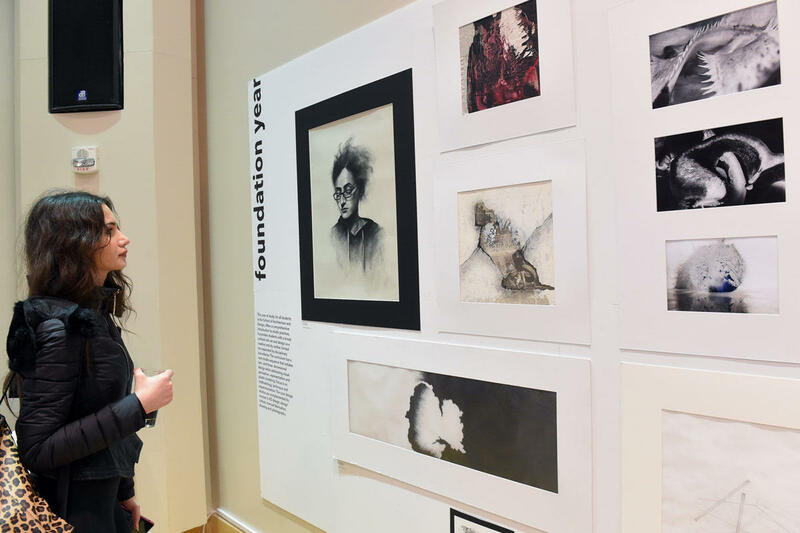 Indeed, though each of the programs showcases its students’ work on multiple occasions and across platforms, this exhibit was the first to bring together the different outcomes in one comprehensive display. Exhibition visitors, among whom were members of the NASAD Commission on Accreditation Drs. Jack Risley and Tom DeBiaso, could therefore view and evaluate the students’ work in one setting. In this regard, the school Dean, Dr. Elie Haddad, articulated the overall vision of the school, which is to promote independent and critical thinking in an atmosphere that encourages students to be innovators, and to respond to the challenges of their times. He also stressed the importance of the arts in today’s world, in which they play a fundamental role in giving value and perspective to human endeavors. 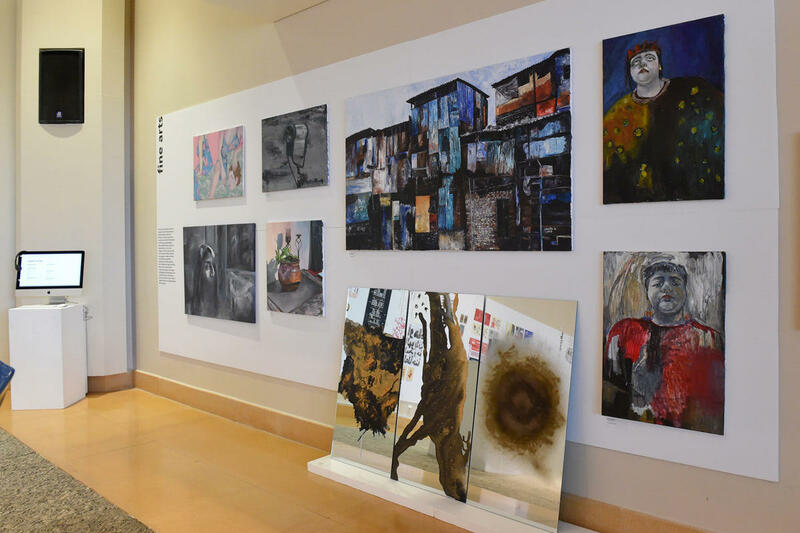 The exhibition, and the self-study that was prepared for the accreditation visit, represent a milestone in the school’s drive toward accrediting all its programs. They complement a collective vision to reshape the programs to be in tune with the highest international standards.